Iranian President Hassan Rouhani met PM Narendra Modi and President Ram Nath Kovind on Saturday at Rashtrapati Bhavan in New Delhi. 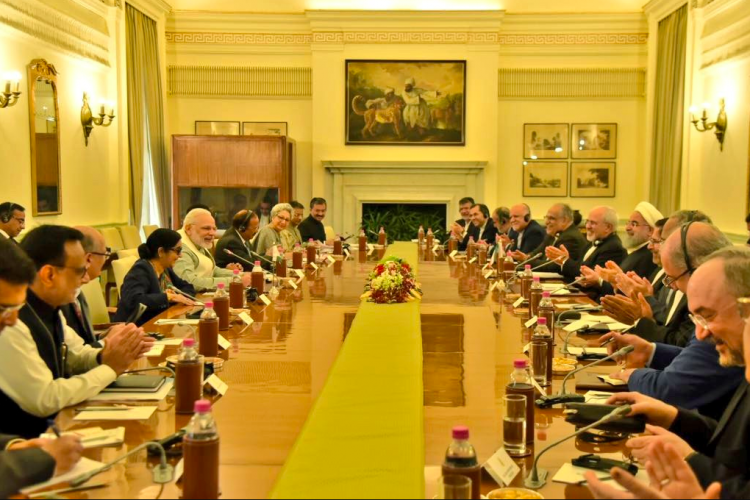 The two countries signed 9 agreements and both the parties share mutual views about combating terrorism, protecting Afghanistan and improving economic cooperation between India and Iran. Even the finalisation and exploitation of Chabahar port will be discussed in other meetings.